This morning in Winter Cove started out with a slight disagreement between an otter and me. 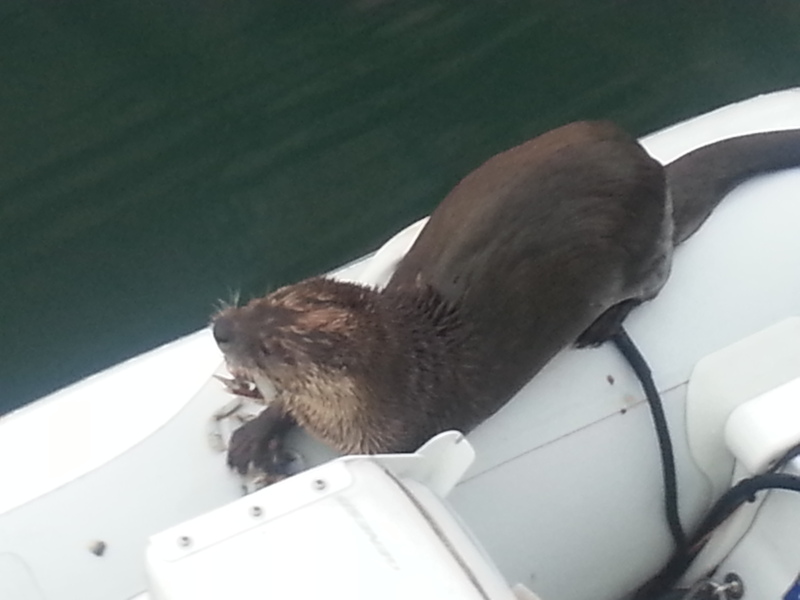 He or she thought lying on my dinghy and munching crab was fine, I thought it was too messy. I won the argument, but still had to clean up the mess. I then went for a walk around Winter Cove and later moved on to Otter Bay (yes, more otters there, but I hope they prefer the dock over my dinghy) where I will spend two days. 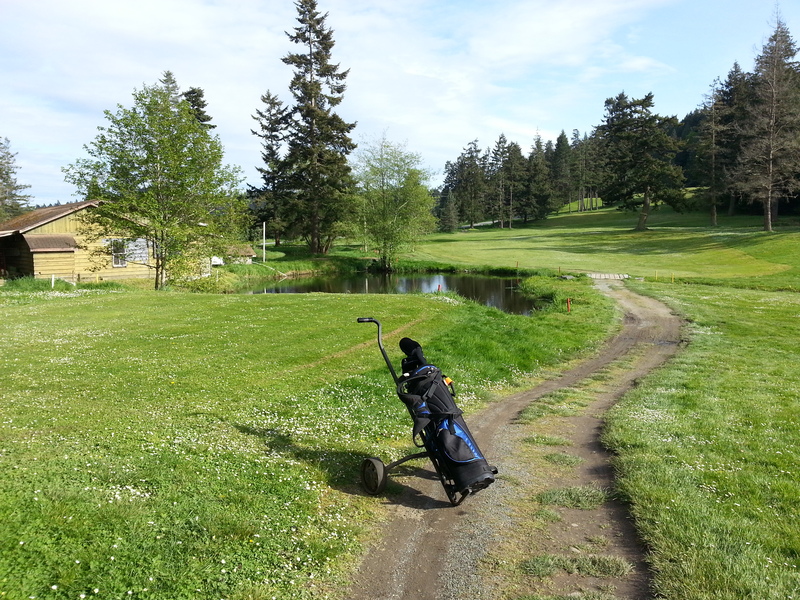 This afternoon was bright and sunny and I played a round of golf at a course close by. The lake in the picture now holds one of my golf balls, but I still have a few left. Sheila also had her first golf lesson in Vancouver today, so hopefully soon we will be able to play together.